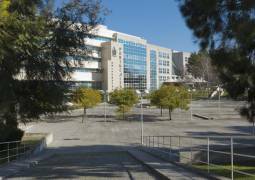 Portucalense University Infante D. Henrique, UPT, is a private higher education institution, created in June of 1986, located in Porto. UPT is organized in four Departments: Law, Psychology and Education, Economics Management and Informatics, Tourism, Heritage and Culture, that teaches 1st, 2nd and 3rd cycle courses and post graduations, structured according to the Bologna Process. UPT aims to be a model in higher education, taking the advantages of the different department’s synergies. More than acquiring theoretical knowledge, the students have the chance to develop practical work and research projects, developing different kinds of skills that prepare them for jobs in future career and for living in a competitive global society. It is our mission to ensure quality education at the highest standards of excellence in the relevant disciplines, in order to educate fully competent professionals and socially responsible citizens. Students are our priority and the formation we provide aims to equip all our graduates with a first-rate professional education and to enhance the development of individual potentialities and personal and professional competences. In order to achieve these objectives, courses are structured so as to respond flexibly to changing labor market needs, through various teaching methods empirically based on significant case studies whenever applicable. UPT also makes available to students forms of personalized tutorial assistance intended to complement and support purely class-based instruction. UPT has its own dedicated staff, fully qualified, research-active and highly motivated by a spirit of constant self-improvement. We also count on the input of practicing professionals from different industrial and commercial sectors, through the medium of guest seminars on various themes, thereby promoting its relationships with the corporate world with the goal of preparing students for future professional demands. UPT has a wide and modern campus in the Asprela University zone. It is well-known for high technological innovation level. The several computation laboratories are available 24h a day with wireless net over the campus which makes access to information easier, contributing to the personal and scientific development of the students. 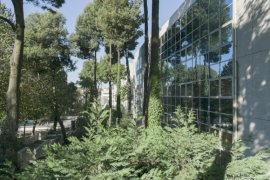 There are different areas in the campus: not only the Library that invites the students to study and reflection, but also the bookshop, forum, canteen, bars, in and outdoor cafés and parks for leisure and social contact. 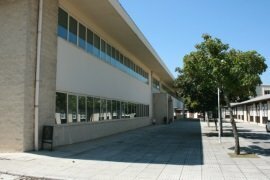 The General Library of the University Portucalense consists of an integrated system responsible for library activities and bibliographic information of the University, aiming to facilitate access to information resources necessary to carry out teaching duties, research, knowledge building and continuing education of the academic community.